The following volunteer opportunities are ongoing, meaning you will work with the nonprofit to establish a regular schedule of participation. Use your personal skills to make a difference and keep a life-saving organization running smoothly. 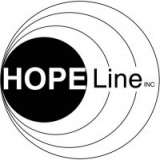 HopeLine is a nonprofit crisis intervention and suicide prevention hotline and textline, and we are looking for qualified members to help grow our organization by serving on the Board of Directors. Help children and adults with disabilities learn to ride in our Therapeutic Riding classes, or accomplish physical therapy goals in our Hippotherapy classes. We serve approx 70 clients per week, and need volunteers with and without horse experience! For a time investment of only an hour each week, you may be the difference between a young person in your community just making ends meet or getting a more fulfilling career and life. Set up of bookkeeping system to easily code our limited expenses. The Assistant Group Leader will assist facilitate Building Bridges over Barriers G.O.A.T Mentoring Program at The School of Creative Studies in Durham on Fridays from 9am-10:30am. 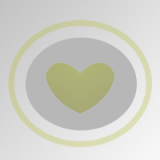 Do you enjoy writing and promoting volunteerism? Activate Good needs volunteers to help us tell stories, educate readers, and more by serving as a guest writer on our blog. We are seeking individuals, churches, organizations, social groups, and employers to host a hygiene drive to collect hygiene products to increase our hygiene inventory so we can continue to provide hygiene kits to more Wake County youths.